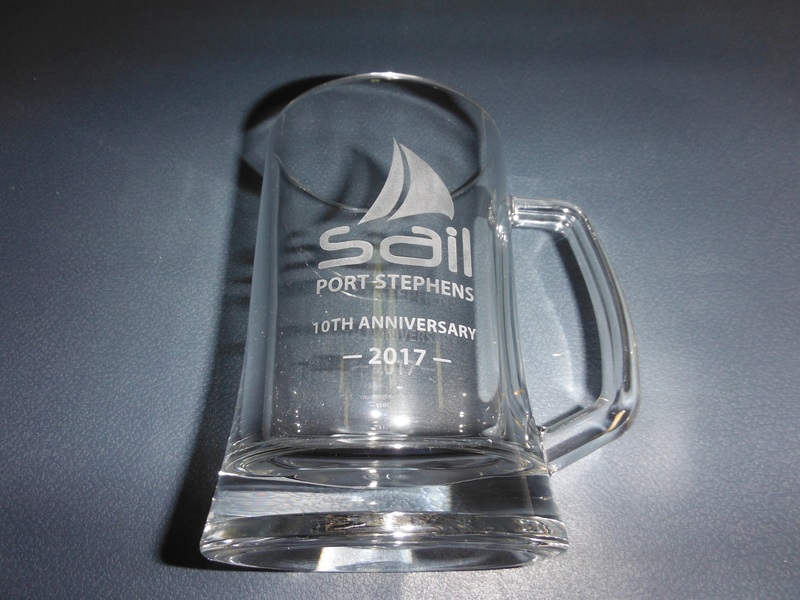 Sail Port Stephens is divided into two 3 race series. 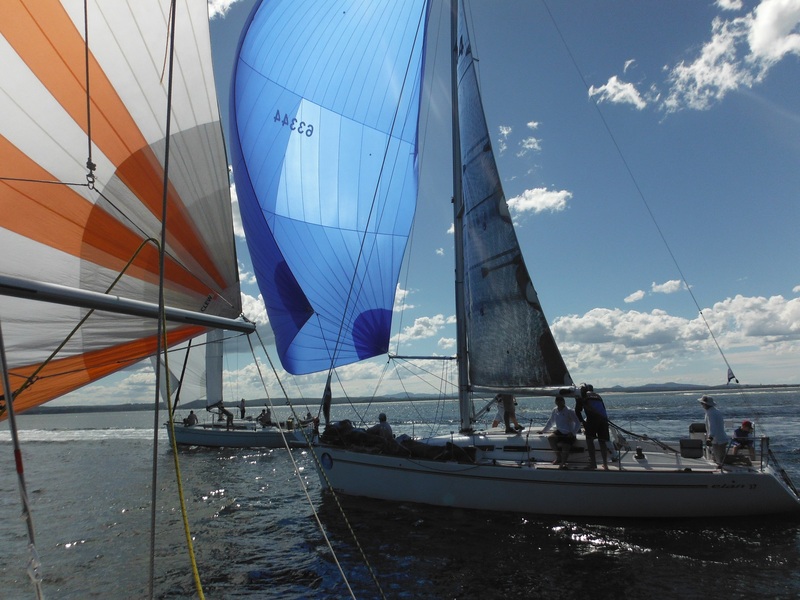 On the first three days the Commodore’s Cup takes place. As mentioned in another post G-whizz and her crew were able to finish the Commodore’s Cup in third place. The Performance Cruising series consisted of the next three races in the Regatta, this series has races that include island passage races outside of Port Stephens, for this reason a number of the Commodore’s Cup cruising boats decide not to compete, while some other boats that did not compete in the Commodores Cup compete in this series. Race 1 started in the usual position just outside of D’Albora Marina and took a course through the Heads and around the three Islands east of Port Stephens (Cabbage tree, Little and Boondelbah Islands), with a second lap of Cabbage tree. G-whizz being fairly beamy and less than 33 feet long is not a fan of waves or swell, while larger boats tend to cut through the seas G-whizz wants to climb over the top, most of the time the crashing through seas slows her significantly. I am not all that experienced at driving her in these conditions but was lucky to have both David Leslie and John Anderson on board who are both experience ocean racers, they coached me on using the swell to the boats advantage and driving a bit lower to windward to keep her speed up. All of the coaching and the great work by the rest of the crew meant that we were able to achieve the 5th fastest time and 3rd on handicap, of interest (to me) was that three of the first five boats were Elans, two of 37s and us. How often has that happened in Australia? Race 2 again took us outside of the Heads with a rounding of Cabbage Tree Island, then a laid mark just off the Hawks Nest shore, north west of Cabbage Tree and then back inside for a finish again outside of D’Albora marina. Somehow I forgot all of the good lessons learned the day before and drove G-whizz as if she was in flat water, compounding my crap decision making, I also underlaid Cabbage Tree Island, we had to pinch up for about 500 meters to stay of the rocks, the crew were kind enough just to politely remind that we were going slow, and avoided the temptation to tell me the truth. Maybe they were all too preoccupied watching the drone filming us working along the Cabbage Tree Island rocks. Adding to my poor choices in this race, while we were able to get very close to our friends in Agrovation a Jeanneau 379 on the spinnaker run from Cabbage tree island to the laid mark, rounding the mark right behind them I could not believe it when I thought that Mick (the owner/driver of Agrovation) left a hole between him and the mark. Of course I went for it, only to quickly realise that it was shutting, a quick movement to starboard to avoid hitting the mark brought some exclamations from Danni on the foredeck and then from Mick on Agrovation. Apparently our bow sprit missed the stern of Agrovation by inches. Not something you should do, especially to a good friend. we were fortunate that the crew of Mascap a Jeanneau Sunfast 37 who were outside of us rounding the mark, were a little more aware of the situation and gave us some room. An 11th fastest and a 16th on handicap was probably the best I could have hoped for. Over dinner on the night before the third race, I apologised to the crew for my choices in race 2 and said that all I hoped for was flat water and mild breezes for race 3, conditions that can show G-whizz off at her best. Race 3 day turned out just as I hoped, a course inside the port – flat water – and wind around 10 – 12 knots, as the race was timed to start when the tide was mid ebb we went out a bit earlier to check out the tidal flows in the channel that runs in front of Nelson Bay. A great but unconventional port tack start set us up beautifully, to take full advantage of the tidal current which we were able to use right up to the first mark, the windward runs were superlative, with perdect gybes that meant we could stay in the shollowest water that we dared while maitaing a good constant boat speed and keeping out of the worst of the tidal flow. On the work back to complete the first lap and start the second, I decided to follow the same course as a boat skippered by a very experienced Port Stephens racer, one of my better decisions. A great crew, good use of the tidal flows and plagiarising the course of another gave us the 5th quickest time and a first on handicap. At last some silverware – well at least some glassware.